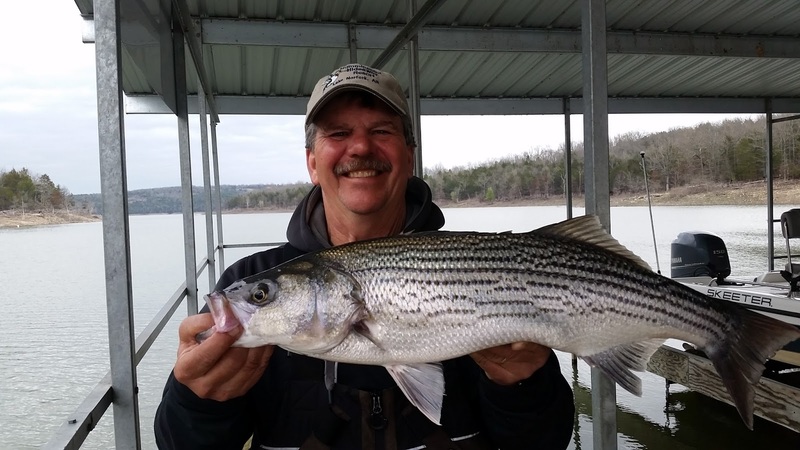 Norfork Lake's spring fishing season is slowly moving in the right direction. You know fishermen, nothing moves fast enough when you want to get into some top water action. :-) The fish have started to move to the banks and are feeding heavily on shad and crawdads. I have found a little bit of top water action, but it is still very sporadic. If we could just get some consistently warm days and nights to warm the water, then the bite will really take off. The shad that I have been netting at my dock are starting to get very fat, telling me they are not far off from their fist spawn. All species will get very active during a shad spawn. 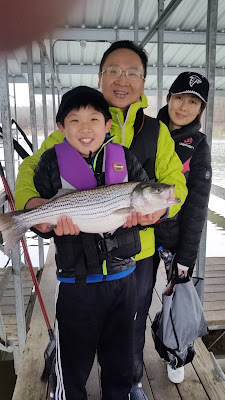 Striped bass fishing is getting better, but it is different ever day due to the ups and downs of the weather patterns. 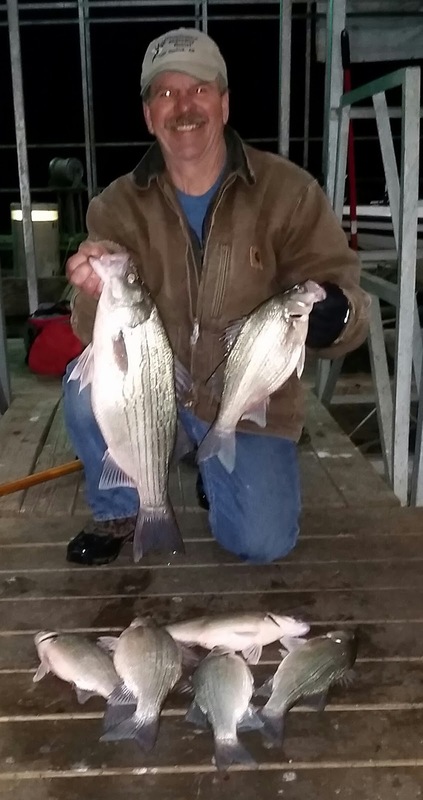 I fished Easter Sunday and landed 5 nice striped bass and hybrid bass and released all. Today I fish the same area as Sunday and only landed 3 stripers/hybrids, but one was a 14 pound fish. The bigger females are finally starting to move in and feed. Live bait is working great. I set out 2 down lines at 15 feet deep and threw out 2 free swimming baits with a small split shot or no weight at all. If you find the fish schooled up, use no weight and sit still over the top of them. Sunday I saw sporadic top water action with stripers or hybrids coming up and feeding. However, every time I saw them I was too far away to get my Zara Spook close enough. A few of the feeding fish were coming up in only 3 feet of water. This also tells me the stripers will be feeding at night, if you want a little slow rolling a suspending stick bait action. Five inch long swim baits are also working to catch this species. I am using a 3/8 ounce jig head on the swim bait, casting it out and letting it sink to about 15 feet, then making a slow steady retrieval to the boat. Fishing for largemouth and spotted bass is getting to be very good. Over the holiday we had some bass fishing guests do very well. They caught all of their bass on 3 different baits. A shad colored swim bait, same as I am using for stripers, a bone colored Zara Spook, and a red crank bait. 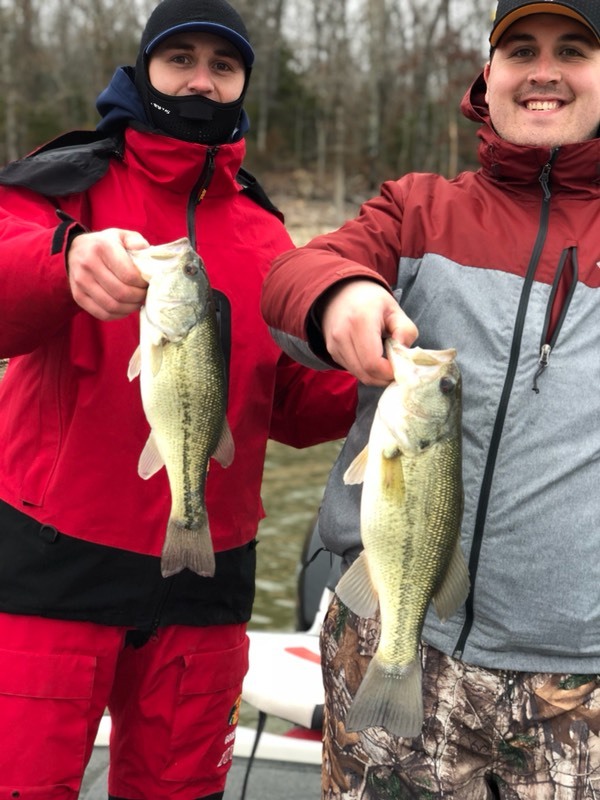 Yes, they did get into some top water action for the bass. Look back in the main lake coves concentrating on the first and second secondary points in the cove. If you find shad in tight to shore the fish will come up for the spook. 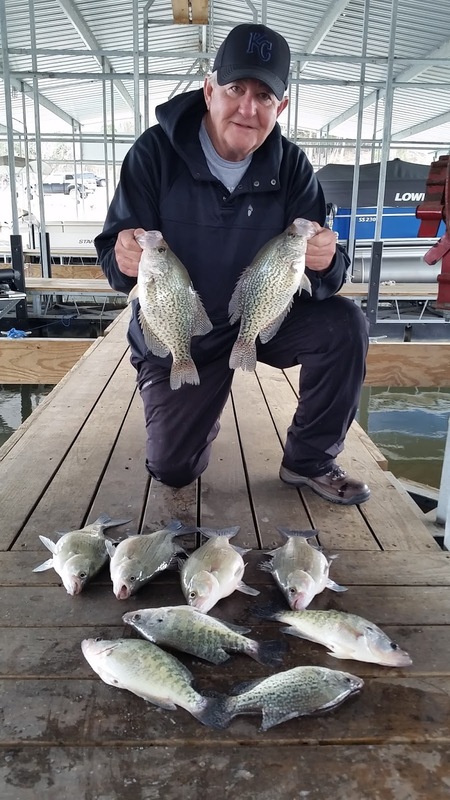 Crappie fishing is also very good. They started to move into shallow water, but moved back to deeper water when the cold fronts moved though. I am sure a few have spawned already, but the majority still needs to finish their annual task. There are some good sized fish being caught under docks as well as on brush in 20 feet of water. Work the tops of the brush during most of the day, but move up higher in the late afternoon. 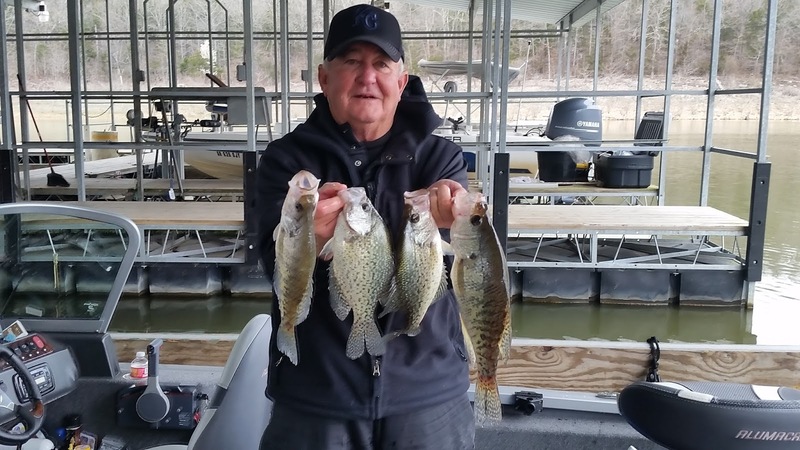 On occasion the crappie are moving between the brush and the shore. The majority of walleye have finished their spawning activities and are starting to get active over the entire lake. One of the best times I have found for walleye is right before sunset. Throw out a wally diver close to the bank back in coves and off of gravelly points. Cranfield area has always been a good place to catch walleye this time of year. You can also fish after dark with a suspending stick bait. Work the bait slowly and you will pick up walleye, stripers, hybrids and bass. 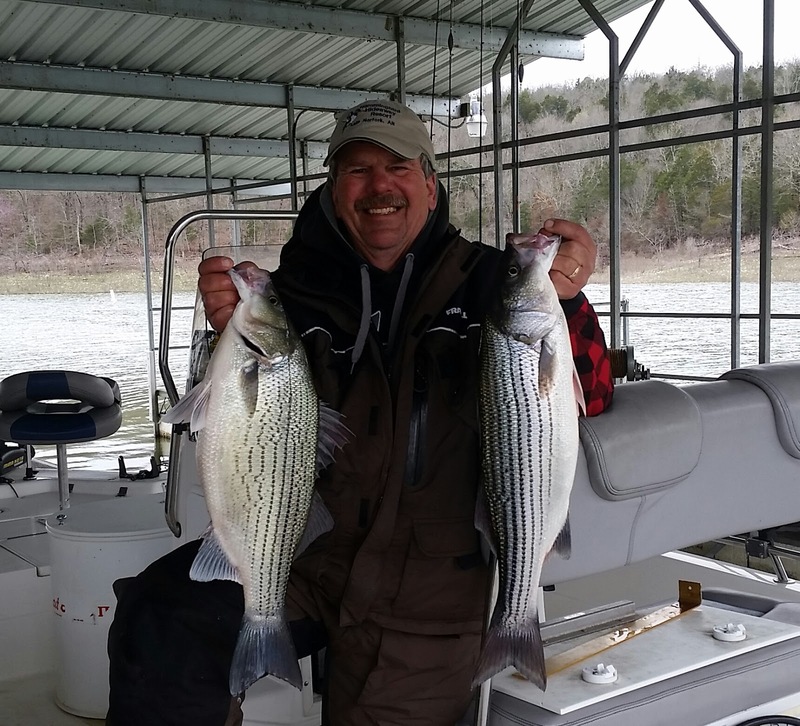 Big white bass are also showing up on flats and back in coves off of the main lake. You will catch many small whites along with those big 2 - 3 pound fish. I have caught them vertical jigging a spoon and casting out a blade type bait. Currently I have been finding most of the whites in 15 - 20 feet of water lying on the bottom. Norfork Lake level is rising slowly at the moment and currently sits at 559.44, which is 5.6 feet above normal pool. 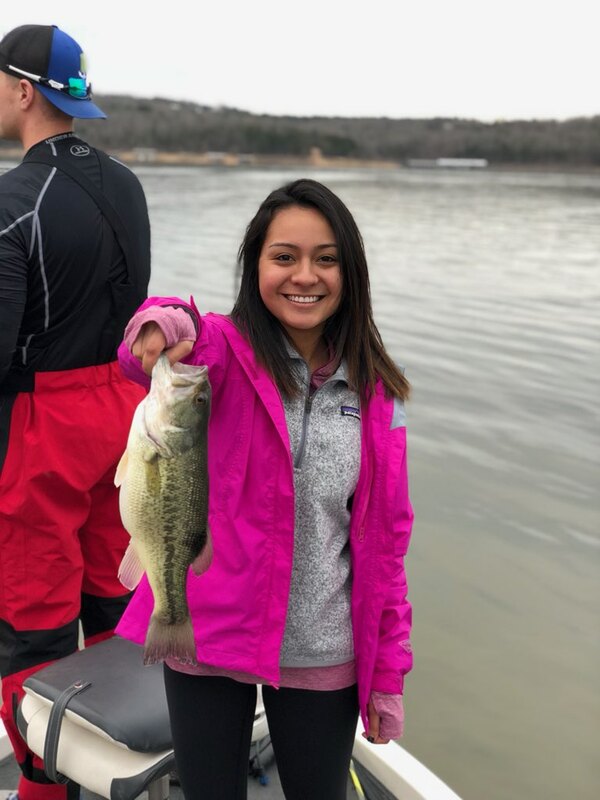 The lake surface temperature was 54 degrees this morning in the main lake and increased 1 - 2 degrees as you head back into the creeks. The main lake is clearing, but still stained and most of the creeks are stained. Overall the lake is in great shape for fishing. The buck brush is covered with water, which is a great place for the predators to ambush the unsuspecting baitfish. Follow Hummingbird Hideaway Resort's Facebook page for a frequent update of what is going on in Norfork Lake.